FACT CHECK: Did a Russian Asbestos Company Put Trump's Face on Their Product? Did a Russian Asbestos Company Put Trump’s Face on Their Product? 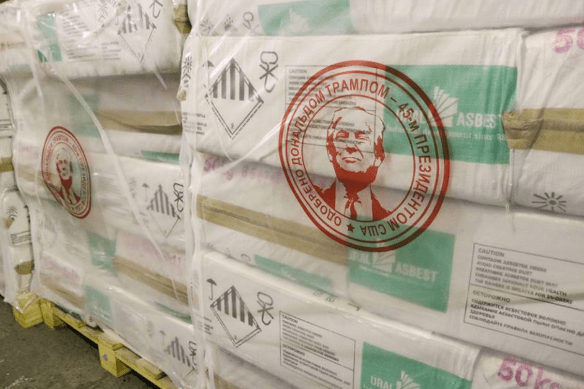 A Russian asbestos producer shared a photograph of their product to social media with a seal of Donald Trump’s face and the text "Approved by Donald Trump”. A Russian asbestos company placed a seal with the face of President Donald Trump on their product with the note "Approved by Donald Trump, 45th President of the United States." Asbestos is a mineral that was once widely used in construction projects for its fire resistant properties, but research has since linked it to a variety of cancers, most notably lung cancer and mesothelioma. 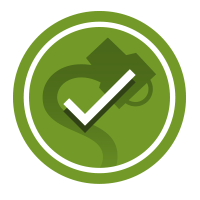 In June, when Uralasbest posted their message of support, then-Administrator of the EPA Scott Pruitt had recently announced new interpretations of the Toxic Substances Control Act that could allow for “new uses” of asbestos to be approved in the United States. While this move would not allow for previously banned uses to be considered, it was a reversal of Obama-era rules that barred the EPA from considering any new uses for asbestos. The Guardian. 11 July 2018. Huffington Post. 8 June 2018. Archived from 19 January 2017.